Many fascinating traditions exist in Brussels, dating from the city’s beginnings: festivals, parades, religious ceremonies and trade guilds. 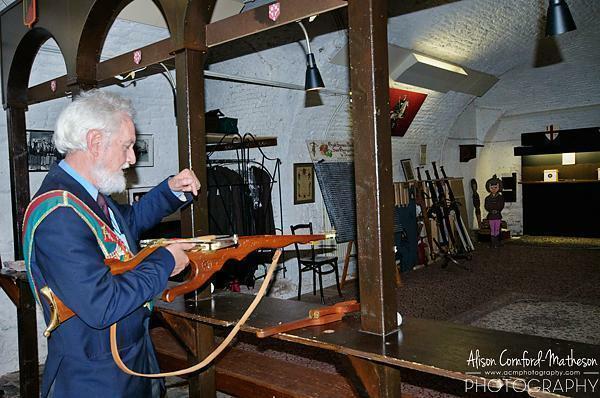 One of the most interesting of the later is the Grand Serment Royal et de Saint-Georges des Arbalétriers de Bruxelles – the crossbow guild of Brussels. While you will no longer see crossbowmen protecting the city of Brussels, as they once did, there is still plenty of evidence of their important historic role. 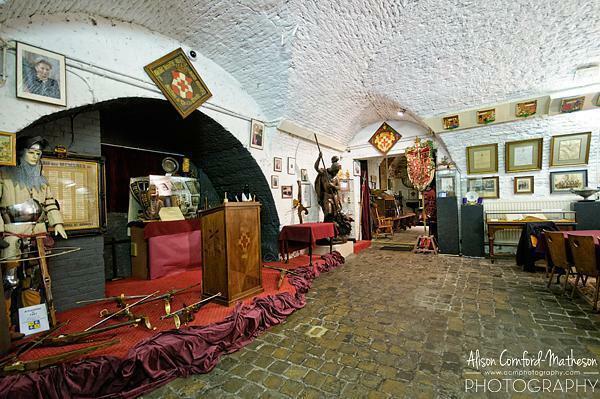 You can visit several places in Brussels, of importance to the guild and you can even see the crossbowmen in action, every Thursday night. 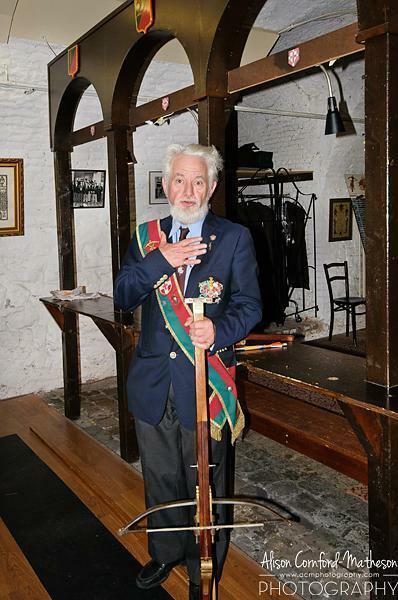 While the crossbow guild today is active in historic festivals, such as the Ommegang, at one time they served a very important role, in Belgium. 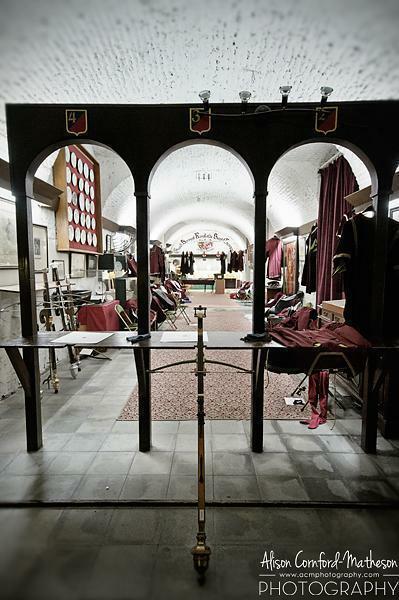 Founded in 1381, before the heyday of Coudenberg Palace, the crossbow guild defended the city of Brussels from all intruders. 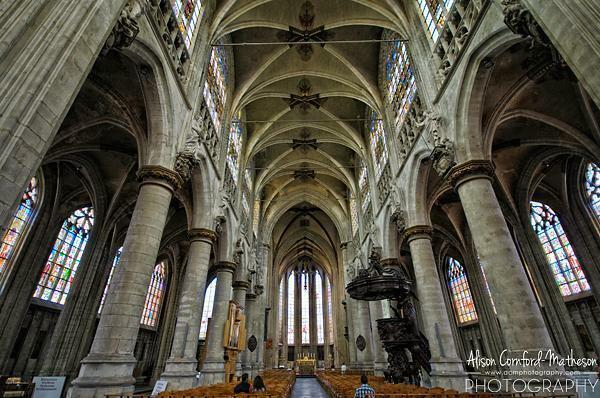 The guild was so powerful it had its own church built, which we know as Notre Dame au Sablon. Inside the church you can see hints of this connection in the stained glass windows, featuring crossbowmen. Another, less apparent, connection is a rowboat inside the church. While a boat doesn’t seem a likely symbol for crossbowmen, it eludes to the legend of Béatrice Soetkens. 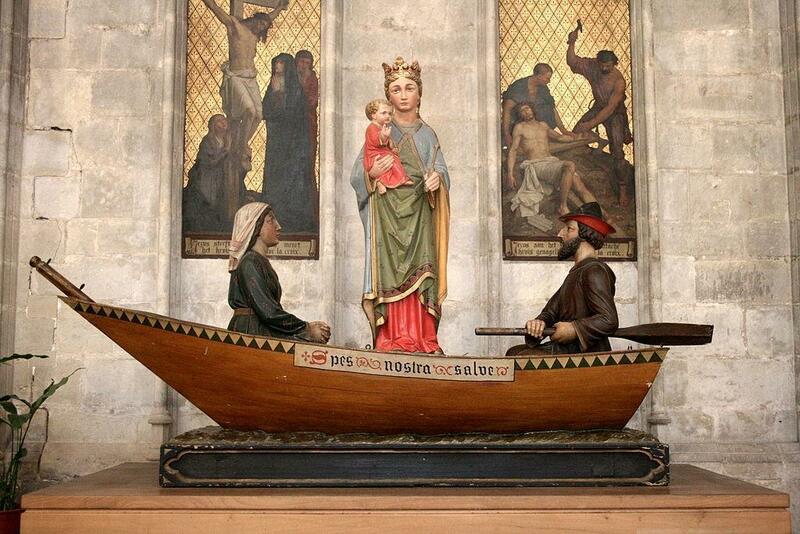 While doing her washing in the river one day, Béatrice heard the voice of God, tell her to steal the statue of the Holy Virgin, from the cathedral of Antwerp. She arrived via rowboat to claim the statue while the guards were sleeping. When she returned to Brussels, she was greeted by the crossbowmen, who swore to protect her and build a church to house the statue. By far the most interesting place to visit, if you want to learn more about the crossbowmen (and these days there are crossbow-women too! ), is their guildhall. 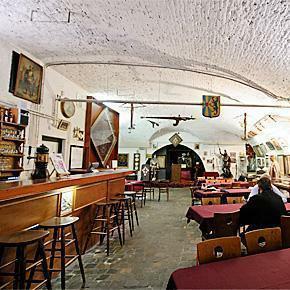 Tucked in behind Place Royal, on the Impasse du Borgendael, is a cellar filled with memorabilia of the crossbow guild. 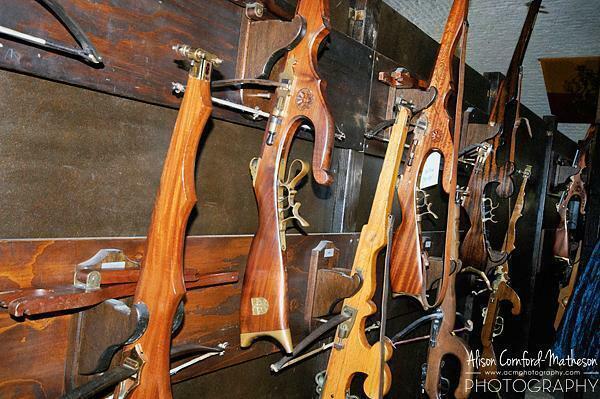 This is a living museum, where the crossbow guild meets each Thursday night, to practice their craft, offer lectures on historical aspects of the guild, and teach newcomers the art of shooting the crossbow. The guildhall and museum looks like it was pulled directly from the history books, with its dark wood and shooting galleries. In true Belgian fashion, there is a bar complete with Belgian Ommegang beer, the packed fridge one of the only nods to modernity. Of course, visiting the guildhall means conversing with the King, a passionate man with perfect aim – he did have to shoot that tiny target at 36 meters straight up to become King, after all. The King informed us there are over 200 members in his guild, although only about 80 are active and even fewer visit regular meetings. Still, coming from a country younger than some of the crossbows in the collection, I couldn’t help but be fascinated by the number of people still upholding this tradition. 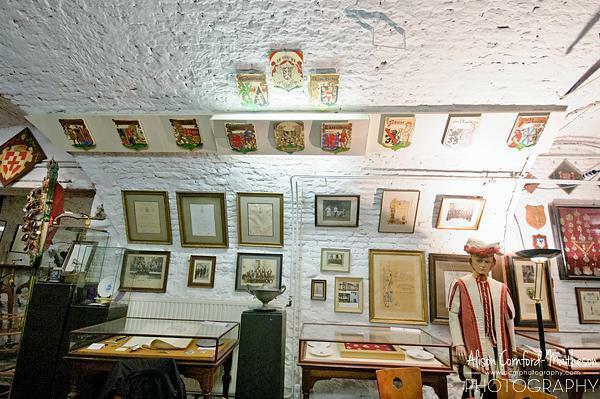 The guildhall museum is free to visit during the Thursday night meetings (or you can call ahead and arrange a guided tour). You can watch the shooting practice, and maybe even give it a go yourself. 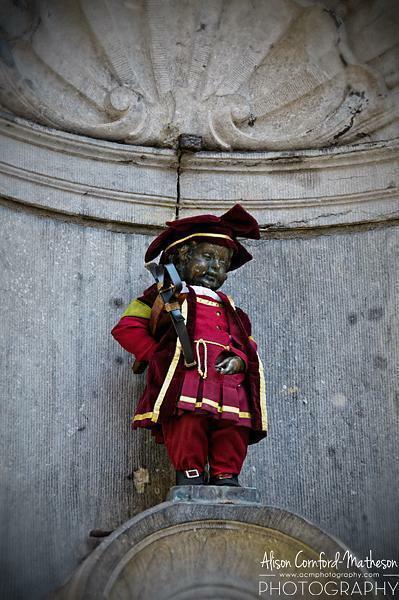 It’s a fascinating slice of Brussels history, most people have no idea still exists. Museum open during meetings Thursday at 20:00 and for special events. See the calendar for times.